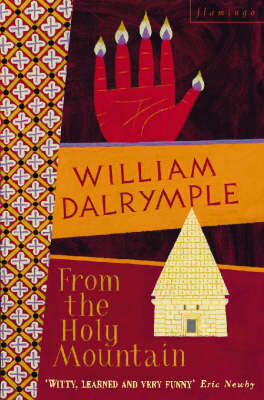 In his third book, William Dalrymple makes another ambitious journey, this time following in the footsteps of John Moschos, a sixth-century Byzantine monk who made records of the various religious communities and the miracles he encountered. Beginning at Mount Athos in Greece, Dalrymple passes the Great Oasis at Kharga in Upper Egypt, through a bloody civil war in eastern Turkey, the ruins of Beirut, Lebanon, Syria and Israel before reaching the edge of the Sahara and the end of his trip. A number of the monasteries and churches visited by Moschos and his pupil Sophronius the Sophist still survive, though they are often surrounded by hostile populations. 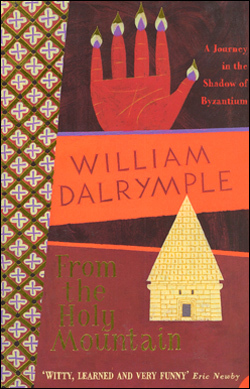 Dalrymple’s eye for art and architecture brings the Byzantine world to life so that the beliefs of the early Christian church become matter of fact and we can see how the prayers, music and way of life have altered little over the intermittent 1500 years. It’s an informative and spiritually moving lament to the disappearing world of Christianity in its Middle Eastern homeland and the winner of the 1997 Scottish Arts Council Autumn Book Award.